Jürgen Klopp is relishing the rare opportunity to play at a stadium boasting a capacity greater than 100,000 people on Saturday. Liverpool will face Manchester United in the International Champions Cup at Michigan Stadium, nicknamed The Big House – the second-biggest of its kind in the world. 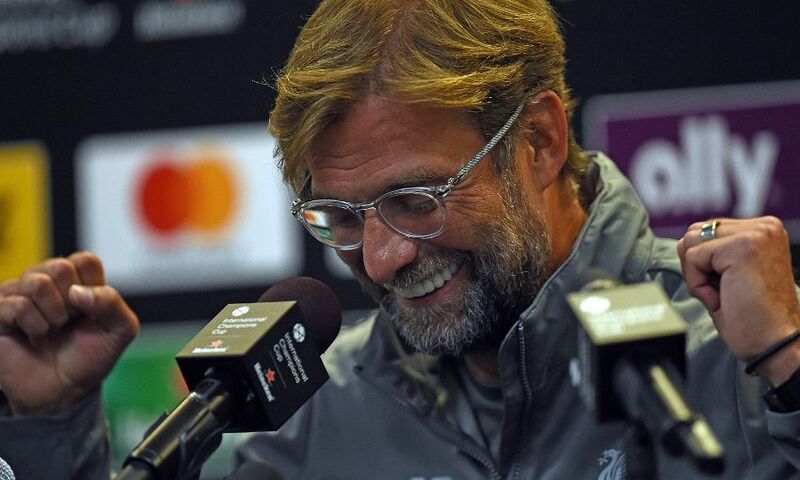 The prestige of the venue and the identity of the opponent each have Klopp excited for the Reds’ latest pre-season friendly, which marks the end of their tour of the United States. “That’s a really nice story that we have come here. We usually don’t have the opportunity to play in the second-biggest stadium in the world,” the manager said at his pre-match press conference. “Especially when it’s America, I can imagine people like it. It’s an impressive building from what I saw outside; I’m looking forward to going inside and having another look. So it’s cool. “It’s pre-season but it’s United against Liverpool, Liverpool against United so a big game. People in America were obviously waiting for the game, or at least 100,000 people were waiting for that.